Everyone should routinely measure their 25-hydroxyvitamin D status and use sun exposure or vitamin D3 supplementation to attain a level around 40 ng/ml. This is especially important for those whose occupations keep them out of the sun. Night workers, especially, may have difficulty manufacturing sufficient vitamin D.
In my last post on the amazing and unnatural fragility of Red Sox players’ bones, I didn’t discuss vitamin D – a crucial nutrient for bone health, and health generally – because I thought that baseball players must get a great deal of sun exposure. But on second thought, that may not be the case. Most games start in the evening, around 7:05 pm. Games typically last between three and four hours. Players often eat a post-game meal at midnight, and may not sleep until 2 or 3 am. On road stands, every third game is followed by travel, so that players arrive in the new city early in the morning. As it is often difficult to sleep on planes, it’s reasonable to guess that many players sleep during daylight hours. Jacoby Ellsbury, with the most fragile bones on the Red Sox, is one of the more slender players, and might be particularly vulnerable to the night work effect. At 6’1”, 185 pounds, his BMI is 24.4. Melatonin, the “hormone of darkness,” is released during sleep, but only under conditions of quiet and darkness. Even a small amount of light can disrupt melatonin production. Everyone, but especially professional athletes who work at night, should monitor serum 25-hydroxyvitamin D levels and get sun exposure or D3 supplements at mid-day to achieve 40 ng/ml. Everyone, but especially professional athletes who work at night, should sleep in rooms with totally opaque drapes, so that the room remains completely dark after the sun rises, until natural waking. Artificial light sources should be eliminated, for instance by turning LCD clocks face down. Melatonin supplementation may also be worth consideration, especially in the elderly or those suffering from chronic infections; time-release melatonin at bed-time is optimal. These steps will help optimize status of two hormones crucial for bone health and, possibly, athletic performance. Maintaining optimal vitamin D and melatonin status is tricky for night workers. It should be a priority for the Red Sox. Have they done it? Feskanich D et al. Nightshift work and fracture risk: the Nurses’ Health Study. Osteoporos Int. 2009 Apr;20(4):537-42. http://pmid.us/18766292. Bischoff-Ferrari HA et al. Positive association between 25-hydroxy vitamin D levels and bone mineral density: a population-based study of younger and older adults. Am J Med. 2004 May 1;116(9):634-9. http://pmid.us/15093761. Lane NE. Vitamin D and systemic lupus erythematosus: bones, muscles, and joints. Curr Rheumatol Rep. 2010 Aug;12(4):259-63. http://pmid.us/20429045. Prabhala A et al. Severe myopathy associated with vitamin D deficiency in western New York. Arch Intern Med. 2000 Apr 24;160(8):1199-203. http://pmid.us/10789615. Bischoff-Ferrari HA et al. Higher 25-hydroxyvitamin D concentrations are associated with better lower-extremity function in both active and inactive persons aged > or =60 y. Am J Clin Nutr. 2004 Sep;80(3):752-8. http://pmid.us/15321818. Cannell JJ et al. Athletic performance and vitamin D. Med Sci Sports Exerc. 2009 May;41(5):1102-10. http://pmid.us/19346976. Cardinali DP et al. Melatonin effects on bone: experimental facts and clinical perspectives. J Pineal Res. 2003 Mar;34(2):81-7. http://pmid.us/12562498. Ostrowska Z et al. Assessment of the relationship between dynamic pattern of nighttime levels of melatonin and chosen biochemical markers of bone metabolism in a rat model of postmenopausal osteoporosis. Neuro Endocrinol Lett. 2001;22:129–136. http://pmid.us/11335889. Kaya O et al. Melatonin supplementation to rats subjected to acute swimming exercise: Its effect on plasma lactate levels and relation with zinc. Neuro Endocrinol Lett. 2006 Feb-Apr;27(1-2):263-6. http://pmid.us/16648794. Kaya O et al. Effect of melatonin supplementation on plasma glucose and liver glycogen levels in rats subjected to acute swimming exercise. Pak J Pharm Sci. 2010 Jul;23(3):241-4. http://pmid.us/20566433. Are the Boston Red Sox Malnourished? Last Thursday’s post was mainly concerned with Abby’s bone injury that refused to heal. I noted that four nutrients – vitamins C, D, and K2, and magnesium – were essential for bone health, and that deficiencies could have contributed both to Abby’s injury and her slow healing. Today’s post is about another group of people who frequently break their bones and don’t heal well: the Boston Red Sox. Centerfielder Jacoby Ellsbury missed 144 games with hairline fractures in four ribs; they failed to heal properly and re-fractured months after the initial injury. Second baseman Dustin Pedroia missed all but two games after breaking his foot June 25. Catcher Victor Martinez missed a month with a broken thumb. Backup catcher Jason Varitek played just five games after breaking his foot on July 2. There were muscle and joint injuries too, but let’s stick to bones. Is it possible the Red Sox players are suffering from micronutrient deficiencies? A few years ago the Red Sox hired a professional dietitian to advise their players: Tara Mardigan of the Dana-Farber Cancer Institute. Ms Mardigan is a lovely woman, a marathoner and former gymnast, with a charming personality that shines through in radio interviews. She obtained her position with the Red Sox after meeting Red Sox president Larry Lucchino at a charity breakfast. I stopped working full-time at Dana-Farber to accommodate working with the Red Sox, and luckily they have a great relationship with the team so I was able to reduce my hours. I also work with the Red Sox’s minor league teams, the Lowell Spinners, Pawtucket Red Sox, and Portland Sea Dogs. This is where I really make changes. I work with young guys who are interesting in learning about how nutrition can improve their performance. They are hungry to get to the big leagues. It’s great to see them move up into the major league, and then become someone like Jacoby Ellsbury (Left Field/Center Field) who is now well-versed in nutrition. Uh oh! Jacoby Ellsbury, who managed only 18 games in 2010, whose bones break on incidental contact and whose hairline fractures won’t heal in six months, is the dietitian’s prize pupil? I try to get them to choose food before supplements, and only supplements when necessary. Athletes are vulnerable and think [supplements] are well made and well regulated, and they are shocked when they find out they are not. Those who have read our book know that we have a chapter titled “Why Moderns are Malnourished” which explains why modern agriculturally-produced foods and treated water don’t provide enough micronutrients, and why supplements are needed to optimize health. Among the micronutrients for which supplementation is most needed are vitamin K2 and magnesium – two crucial nutrients for bone health. What Is Her Diet Advice? Yikes! No fats, and no mention of healthy plant foods like starchy tubers. 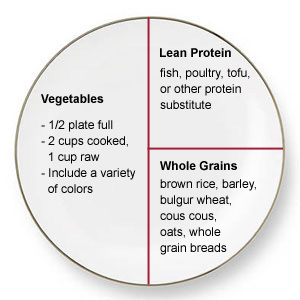 A quarter of the diet is toxic grains and the protein may be derived from toxic legumes. It looks like roughly 70% of calories come from carbs and 25% from protein. Later in the page they suggest such omega-6-rich oils as soybean oil, canola oil, flaxseed oil, wheat germ oil, and walnuts – all eliminated on the Perfect Health Diet. On staff with the club since January 2006, she attends most home games to meet with players and make sure grilled chicken, steamed vegetables, and other healthful options are available in the team dining room. “My diet is very restricted right now, but Tara has been wonderful at helping me figure out what I can eat, like certain thick-skinned fruits and soy products,” says Anne Forgit, a leukemia patient and recent bone marrow transplant recipient. Soy products. As readers of our book know, this is a highly toxic food. Ms Mardigan does have a personal home page. The only clues I found there to her diet advice reside on her “Resources” page, where she recommends Michael Pollan’s In Defense of Food and Dr. Walter Willett’s Eat, Drink, and Be Healthy. Pollan is a journalism professor who has made a career attacking industrial agriculture, and has likened the Atkins diet to an eating disorder. He seems to avoid specific diet advice, but it looks like he favors grains and omega-6-rich plant fats over animal fats. Dr. Willett is mentioned in our book, where we object to his opposition to coconut oil and saturated fat. He is a promoter of polyunsaturated fat and whole grain consumption. So the Red Sox players are being recommended a diet that is highly toxic to bones. But what about the key bone nutrients? Are they lacking in those as well? The answer is almost certainly yes. The fat-soluble nutrients are critical to bone remodeling, and it seems the Red Sox diet is completely lacking in vitamin K2. Plant sources of vitamin K1 aren’t sufficient for bones, and animal sources of K2 seem to be excluded from the Red Sox diet. If that happens on ordinary diets, the reduction in fracture rates would probably be even more remarkable on a K2-empty diet like the one that has been recommended to the Red Sox. Eat lots of grains to induce rickets. Eat vegetable oils and non-tropical fatty plants to reduce bone mineral density. Avoid animal and dairy fats to deprive the body of fat-soluble vitamins needed for bone mineralization, such as vitamin K2. Do not take nutritional supplements, in order to maintain a deficiency of bone nutrients. It seems that this is precisely the advice that is being given to the Red Sox and their minor league players. This year’s broken bones cost the Red Sox a chance at a World Series. The player who followed this diet advice most rigorously, Jacoby Ellsbury, lost a full season to bone fractures, and his injury history could cost him millions when he becomes a free agent next year. As a lifelong Red Sox fan, I beseech the team to reconsider their diet advice. Watkins BA et al. Dietary ratio of n-6/n-3 PUFAs and docosahexaenoic acid: actions on bone mineral and serum biomarkers in ovariectomized rats. J Nutr Biochem. 2006 Apr;17(4):282-9. http://pmid.us/16102959. Watkins BA et al. Dietary ratio of (n-6)/(n-3) polyunsaturated fatty acids alters the fatty acid composition of bone compartments and biomarkers of bone formation in rats. J Nutr. 2000 Sep;130(9):2274-84. http://pmid.us/10958824. Cockayne S et al. Vitamin K and the prevention of fractures: systematic review and meta-analysis of randomized controlled trials. Arch Intern Med. 2006 Jun 26;166(12):1256-61. http://pmid.us/16801507.